Initiatives to promote increased financial regulation after the 2008 global meltdown muddied related symptoms, including the surge in bank loans to sub-prime borrowers caused by the sharp increase in the supply of credit. U.S. banks lent billions to sub-prime borrowers because the credit supply was much larger than prime borrowers’ demand. Banks believed a massive profit opportunity existed because the cost of funds was much less than mortgage loan interest rates. A surge in cross-border investment inflows resulted from large increases in the export earnings and trade surpluses of China and the oil-exporting countries (OEC). 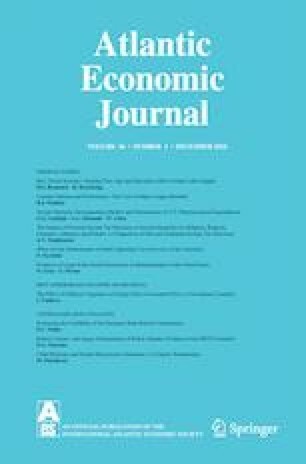 China and the OEC could have achieved trade surpluses if there had been a comparable increase in the trade deficits of the U.S. and other industrial countries in response to dramatic increases in the prices of real estate, stocks and household wealth that led to the massive expansion of consumption spending and payments for imports. Great Britain, Ireland, Iceland, and Spain also had banking crises in 2008. Greece and Portugal had sovereign debt crises 15 months later. Each country previously had economic booms from domestic adjustments to capital account surplus increases. Some borrowers relied on money from new loans to cover interest on outstanding loans. When the money supply increase from new loans slowed, some borrowers defaulted. Asset prices imploded. Banks incurred massive losses. Many failed. Establishment of a new government credit agency is proposed to provide funds to re-capitalize U.S. banks that incurred large loan losses resulting from the asset price decline in systemic banking crises. Central Bank of Iceland (2018). Statistics. Available at: https://www.cb.is/statistics/. Fisher I (1933). The debt-deflation theory of great depressions. Econometrica. October 1933, 337–357. Available at: https://fraser.stlouisfed.org/files/docs/meltzer/fisdeb33.pdf.